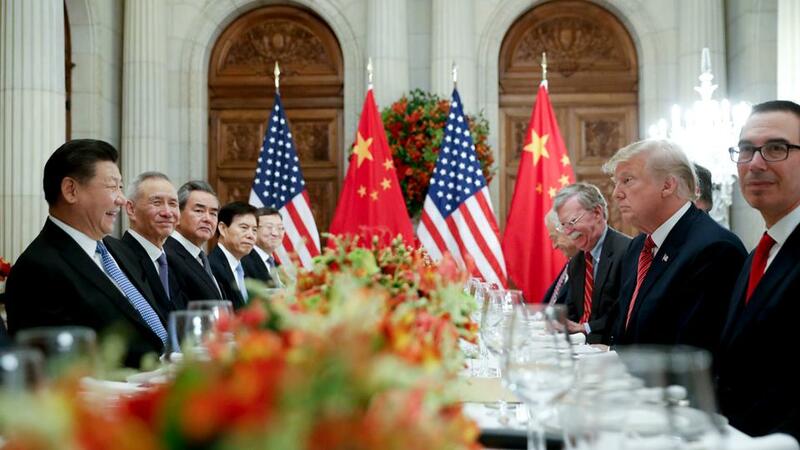 The two-day talks are aimed at carrying out last month’s agreement by Presidents Donald Trump and Xi Jinping to postpone new tariff hikes, China’s commerce ministry says. China’s government says US envoys will visit Beijing on Monday for talks on resolving a tariff fight that threatens to hobble global economic growth. The two days of talks are aimed at carrying out last month’s agreement by Presidents Donald Trump and Xi Jinping to postpone new tariff hikes, the Ministry of Commerce announced on Friday. It said the American delegation will be led by a deputy US trade representative, Jeffrey D Gerrish, but gave no other details of the agenda or participants. The US embassy in Beijing didn’t immediately respond to a request for confirmation and additional details. The Chinese government said last month that negotiations would start by focusing on farm goods, energy and automobiles. The talks are going ahead despite tension over the arrest of a Chinese tech executive in Canada on US charges related to possible violations of trade sanctions on Iran. Both governments have raised tariffs on billions of dollars of each other’s goods in the fight over US complaints that Beijing violates its market-opening obligations by stealing or pressuring companies to hand over technology. Trump and Xi agreed to postpone additional tariff hikes for 90 days, but economists say that is too little time to resolve the sprawling disputes that bedevil US-Chinese relations. Trump wants Beijing to roll back plans for state-led development of Chinese technology champions that Washington, Europe and other trading partners say violate its promises to open markets and treat all companies equally. Chinese officials have offered to alter details but reject pressure to discard blueprints such as “Made in China 2025,” which calls for creation of Chinese champions in robotics and other fields. Some American officials worry those will erode US industrial leadership.